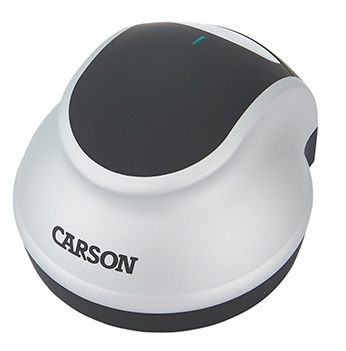 The DR-300 ezRead™ from Carson Optical transforms your television into a visual aid! 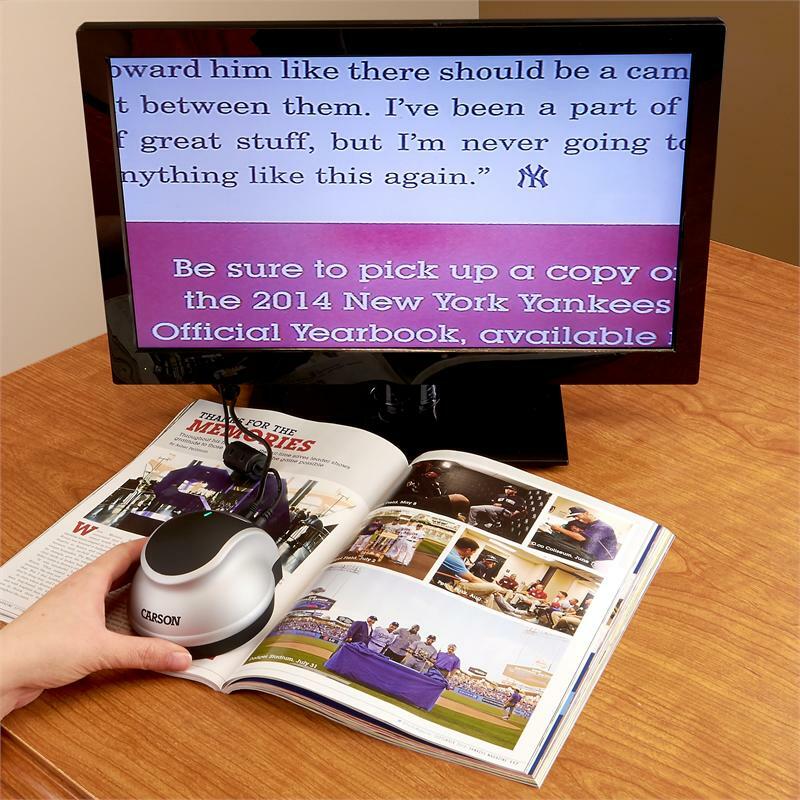 Place the ezRead™ directly on top of your reading material to display the magnified image in full color on your television screen! Connect to your television in seconds using the supplied video cable. Internal led illumination ensures that the image on the screen is bright and easy to read. The size of your television monitor determines the actual magnification of the item. The larger the monitor, the greater the ezRead™ magnifies! The ezRead™ is ideal for those with low vision or macular degeneration. Operates with three AAA batteries (not included) or supplied A/C power adaptor.